We’re back! 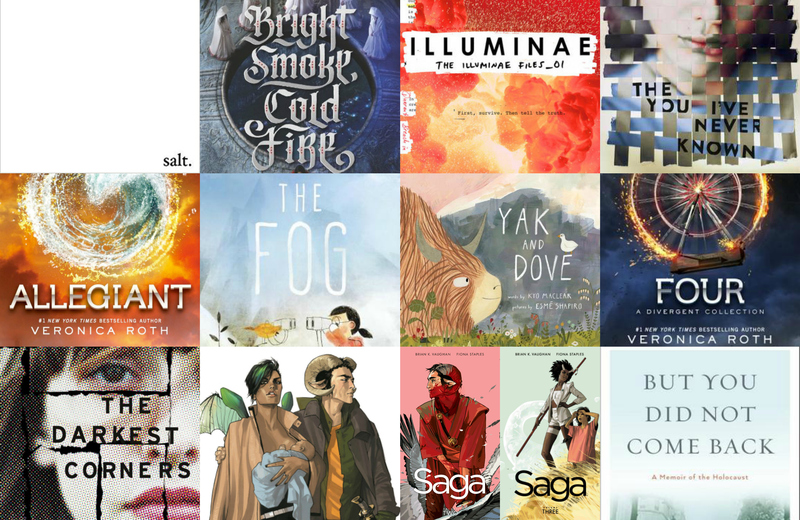 After my April Reads wrap-up got a bit ridiculous at 8 books–because even though these are supposed to be mini reviews I always end up rambling for a couple paragraphs–I decided to split it in two. So here we are with all the books I read in the second half of April. After so many disappointing or just okay poetry collections so far this year, it was so wonderful to pick up salt. 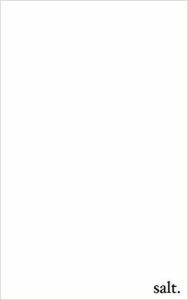 by Nayyirah Waheed. This is an incredibly powerful collection with brief poems that leave a large impact. whales in the bodies of tiny fish. salt. is about race, identity, politics. It’s about darkness and light, in the world and in yourself. It’s about self-love and love. It is brutally honest, sharp, and even uncomfortable at times. Waheed shares an important point-of-view and her beautiful writing will leaves a lasting impression. I am so glad she has shared her voice with the world. why it is always hurting. ‘this is the only thing you will allow me to say to you. 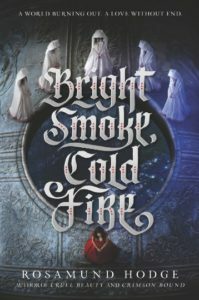 The second book I finished on my wonderful long weekend this month was Bright Smoke, Cold Fire by Rosamund Hodge. This is a fantasy-inspired Romeo and Juliet retelling, in which after the Ruining, only the walled city of Viyara has survived. The premise and world-building of the novel are fairly complicated, but basically, Juliet is meant to be a weapon for her people and she is supposed to bind with a Guardian (Paris) to protect her and instead chooses her lover (Romeo) but that kills her and leaves Paris and Romeo bound to each other instead. Meanwhile, Runajo is struggling to find a way to save the city, and Juliet just might be able to help her. I adored Hodge’s debut, Cruel Beauty, when Ambur and I read it together back in 2014–back when I was also doing monthly book recaps!–so I was really excited to pick up another book by her for my latest buddy read with Ambur. Unfortunately, this one just didn’t have the same intensity, especially when it came to the main characters. Bright Smoke, Cold Fire is actually told from Paris and Runajo’s perspective, which is a unique twist, but I wish it wasn’t, because honestly, Romeo and Juliet’s stories seemed more interesting although their characters didn’t have a lot of depth either. Hodge has lovely writing, but the first half of the book in particular is really bogged down in world-building. It got better, especially when I switched to the audiobook instead, but the story–and world–is just too ambitious. There were some fun twists in Bright Smoke, Cold Fire, and I did like the ending, plus I hate leaving series unfinished so I’m sure I’ll reach for the second book in this duology when it is released next year, but I will say this was a disappointment from an author I had loved so much. In the meantime, I’ll likely pick up the second Cruel Beauty book, Crimson Bound, which has much more positive reviews than this–including Ambur’s recommendation! 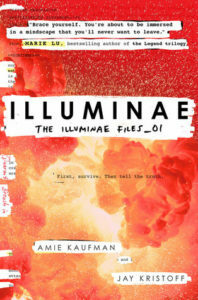 I think the Illuminae by Amie Kaufman and Jay Kristoff is the best book I’ve read this year. Possibly one of the best books I’ve ever read–and I don’t even often reach for science fiction. But how else do you explain devouring 600 pages in a single day? This story is a mix of adventure, danger and romance in space. After spaceships evacuate a planet under attack, Ezra and Kady, who broke up earlier that day, end up on separate ships, on the run from an attack ship still following them. Their only hope is the artificial intelligence on board, but it starts acting strangely, plus there’s a virus on board, and the craziest thing of all? Kady needs Ezra to help her find the truth about what’s going on. While I read this an ebook, I highly recommend that you pick up a paper copy. The book is written as a dossier, filled with emails, instant messages, reports, interviews, and schematics. It’s a really fun and creative way to tell the story, that could easily feel gimmicky but works perfectly in this context. It does mean it might take a little while to get settled into the story, but it still had me hooked right away. Illuminae was intense, and I just loved both the story and all the characters. Kady was so tough and smart, and Ezra had a sweetness to him that was pretty endearing. The style the book is written in could easily have distanced me from the characters, but I definitely found myself rooting for them, both Kady and Ezra but also many of the minor characters. The plot of Iluminae was just so thrilling, and there was a really fantastic twist at one point that I did not expect–although I did see the very end coming. Kaufman and Kristoff do a great job terrifying the reader with the virus on board, add in a haywire AI and it definitely makes happy to be on land. I have not read books by either of these authors before but I immediately added them all to my wishlist–including the sequel, Gemina, which I have already borrowed from the library as well. But seriously, pick this book up. Just make sure not to start reading it before bed! I really love novels-in-verse, and likely the best known author for that format, especially in the YA sphere, is Ellen Hopkins. Hopkins writes books on tough issues, but after devouring about 10 of them in a year it’s actually been awhile since I’ve picked on up. The latest release is The You I’ve Never Known by Ellen Hopkins, and it’s about Ariel, a teenage girl who is used to moving all over the country with her dad and wants to finally set down roots. Adding to that desire is the fact that she’s met two people–Monica and Gabe–in her current home, and she has to decide how she feels about them. The novel is interspersed with prose journal entries from Maya, another teenager who escapes her mom by getting pregnant and marrying a solider. You spend most of The You I’ve Never Known waiting for the lives of Ariel and Maya to collide, and when they finally do, it’s exactly how I expected. Despite the lack of tension in that regard, the book still felt quite intense and I definitely enjoyed Hopkins’ writing as always. In particular, this novel deals with abandonment and sexuality. There are definitely some sections that are a bit hard to read. That said, I just didn’t really like Ariel that much–I have a hard time with cheating storylines, no matter how they are done, and I just didn’t like that aspect of the book. I also found the real ending to be really abrupt and not very satisfying, and then afterwards there was more of Maya’s journal tacked on which felt, well, tacked on. 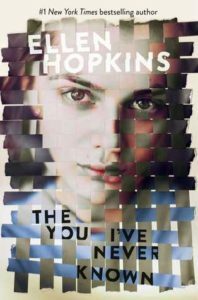 Still, The You I’ve Never Known definitely reminded me of why I enjoy novels-in-verse and Hopkins’ work in particular, because she tackles some emotional issues and without flinching. There are still a few books by Hopkins I haven’t read yet, including Impulse, which I own, so I do plan to read more from her in the future. 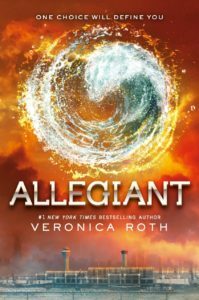 Many years ago I read Divergent by Veronica Roth, fell in love, pre-ordered and read Insurgent, loved it, but not quite as much, pre-ordered Allegiant by Veronica Roth, read the first few pages and then got distracted by life? I am honestly not sure how I managed to avoid finishing this series for the past few years but it did involve a move across the country and a new degree. So since I’ve had such a great reading month in April I figured I would pick it up and actually read it. I’m not sure how I feel. I won’t share any spoilers for the previous books, but this is a young adult dystopian series that you may have seen the movie trailers for. Basically, everyone is categorized into 1 of 4 groups, except Tris is “divergent” and doesn’t just belong in 1 group. In Allegiant, the history behind the society Tris lives in is finally revealed. But honestly, there are a lot of problems. This is an instance where people have the technology to create a problem, but don’t want to use that technology to solve it, so instead choose a much more difficult, problematic and time-consuming “solution”. Add in an ending that just felt very unnecessary, despite the fact that the author has written a blog post defending it, after all these pages caring about the characters to have things end up like that? It all felt a bit hypocritical and pointless. Plus there’s an epilogue that’s kinda tacked on and meh. I really enjoyed the characters and writing in this trilogy, although I preferred having just Tris’ perspective versus the two included in this book. Allegiant dragged a bit at times compared to the previous books, especially in the beginning. However, as much as I loved this trilogy, this final book ended up disappointing. I guess it’s just really hard to end a dystopian trilogy in a way that’s satisfying, because I wasn’t a huge fan of Mockingjay‘s very end either. Maybe I would feel better if I had read Allegiant with Divergent and Insurgent fresh in my mind, but at this point I’m a bit leery to go back and re-read this series, knowing how it ends. If you’ve read this trilogy…we should talk. 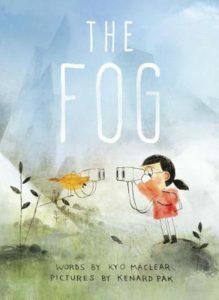 The Fog by Kyo Maclear and Kenard Pak is a lovely picture book with text by Maclear and illustrations by Pak about a yellow warbler named Warble who lives on a beautiful island and watches humans, until one day the fog rolls in. As the fog continues to spread, Warble teams up with a a Red-hooded Spectacled Female (Juvenile) to find out if others can see the fog too. The illustrations in The Fog are really beautiful and mystical and really capture the feeling of the fog. In terms of the message, I’m not really sure about it because it seems to say that awareness can solve a problem, but I suppose it is a good place to start. 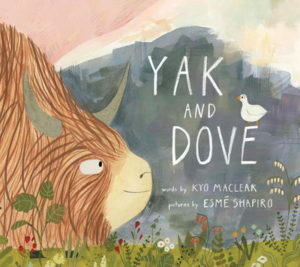 Yak and Dove by Kyo Maclear and Esme Shapiro is another picture book by Maclear about two unlikely friends, in this case a Yak and a Dove, which is filled with gorgeous illustrations by Shapiro. This book includes three adorable stories about two opposites, and how they still have things in common and can be friends. I especially liked the bit about still finding a friend that wouldn’t eat you. The story is whimsical and the art is great compliment to that, if you are looking for a new picture book I would definitely recommend this one when it comes out in September. After my disappointment with Allegiant, I figured I might as well give the Divergent series one more chance and finish up the remaining book, Four: A Divergent Collection by Veronica Roth, which is a collection of short stories told from Four’s perspective. 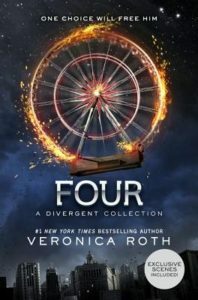 Three of the four stories in Four take place before Divergent, and they offer insight into his background and the experiences that made him the person who you meet in Divergent. There are also 3 bonus scenes from Divergent retold. That said, it has been years since I have read the earlier Divergent books and I think this would have been more interesting with them fresh in my mind. Four isn’t going to add much that’s new to the series, but it’s an interesting experiment to see the story from his point-of-view. That said, I remember enjoying the mystery of Four in Divergent, so I definitely would read that before picking up this. It’s an enjoyable read but definitely not a standalone. I don’t know, I guess I would read this if you need to read everything Divergent like I kinda do. Otherwise, you can probably pass. 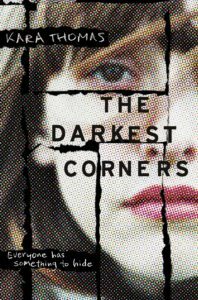 In my seemingly unending quest to finish books I’ve partially read, I picked up The Darkest Corners by Kara Thomas (again), although I started from the beginning. This is a young adult mystery about Tessa, who returns to Fayette, Pennsylvania–a place that’s going nowhere–and reunites with Callie. Tessa and Callie last saw each other the night Callie’s cousin was murdered, and now her murderer is sitting on death row, but Tessa still has questions she needs answered. I really enjoyed Tessa’s perspective, but I definitely had a few issues with this novel. One thing that really annoyed me was that the technology seemed weirdly inconsistent. I’m not sure what time this is supposed to take place at, but there’s a mention of Netflix and a 1992 car being older than Tessa and yet, she is always desperately trying to get access to a computer to look things up on the internet. So, no smartphone I guess? It just seems a little strange and distracts from the story/makes it feel dated. I really liked the ending, which I did not see coming, but I think that the reason for that is that hints really needed to be introduced earlier. The last quarter of the book takes things in a totally different direction and I was left wondering why I had invested so much time into a whole bunch of random unimportant characters–and there are a lot of characters. Overall, while The Darkest Corners was flawed, I enjoyed Thomas’ writing and plot enough that I would definitely pick up another book by her. Her second novel (under this name) Little Monsters releases in July and it seems like so far it already has even better reviews. I’m sold! 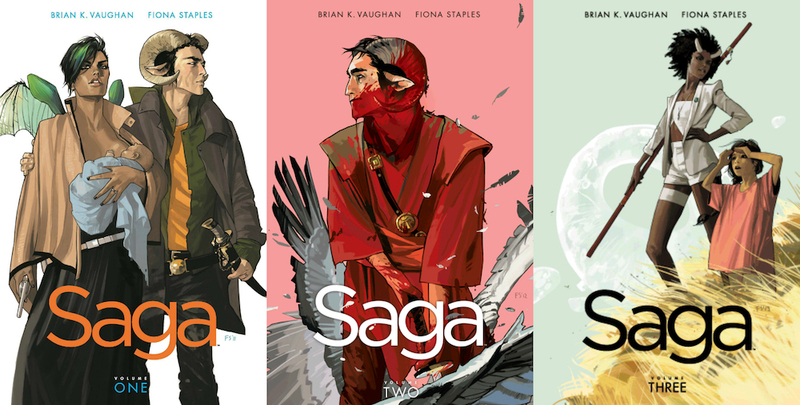 I semi-participated in a 24 hour readathon at the end of the month which encouraged me to devour three graphic novels: Saga Vol 1, Saga Vol 2, Saga Vol 3, written by Brian K. Vaughan and illustrated by Fiona Staples. Saga is about two soldiers from opposite sides of a galactic war who fall in love and risk everything to save their newborn daughter. I actually don’t read many graphic novels but I had originally purchased Saga Vol 1, after hearing so many great things about it, and luckily I was able to borrow up to Vol 5 from the library as well because I definitely fell in love with this strange and exciting universe. Honestly the only thing I didn’t like about these books was a character’s use of the word “retarded”. Overall, Saga was epic and intense and even if, like me, you don’t generally read science-fiction these graphic novels are worth checking out! I will definitely be reading more Saga in May. 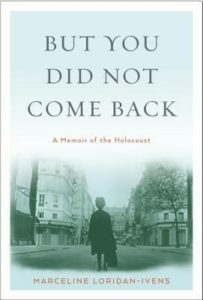 But You Did Not Come Back by Marceline Loridan-Ivens is likely one of the very last memoirs of the Holocaust to be written, and it’s not only an important book, it’s a beautifully written one. Loridan-Ivens was 15 when she and her father were deported from France, and he managed to slip her a note at the concentration camps before he died. But You Did Not Come Back, is her response to him, both about her time at Birkenau but also the years afterwards, and how his death shattered their entire family. Loridan-Ivens’ memoir is brief, barely over a hundred pages, but each sentence is a heartbreaking and horrifying reminder of a history that was not that long ago. In life, real life, we also forget, let things slide, make distinctions, trust our feelings. But there, it was there opposite. The first thing we lost were the feelings of love and sensitivity. You freeze inside so you don’t die. There, you know very well how the spirit shrivels, the future lasts for five minutes, you lose who you are. It is impossible to say anything about But You Did Not Come Back except that Loridan-Ivens is immensely courageous for having written it and it is an absolute must-read that is incredibly powerful. This edition was translated from French by Sandra Smith, but I plan to pick up the original in the future. And April is done! 21 books! Although there were several picture books and graphic novels in there. It was so nice to do all this reading last month and while things will be getting crazy now with travel and preparing for my thesis defense, I hope I manage to keep up the reading momentum at least a bit in the coming month. I know it makes for really long blog posts because I seem to write full reviews instead of a few sentences like I always meantime, but if you read all of this, let me know if there are any of these books you’d be interested in reading? Or have you read anything great in April I should pick up?